A simple board which connects the embed to ethernet. 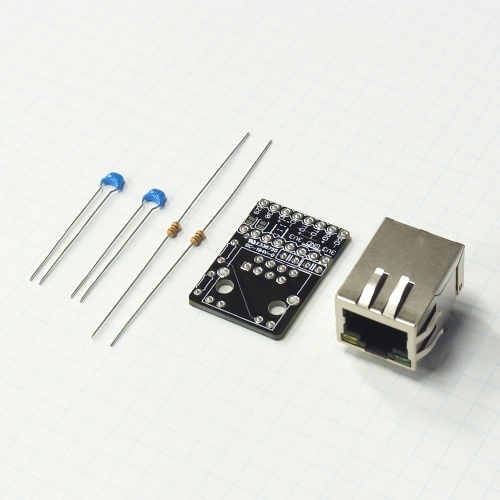 Great for mbed prototyping with a breadboard. You have to solder the contained parts to main board.